Keeping an eye on any changes in your breasts is a great way to catch any issues that can arise. There is no rhyme or reason cancer appears in patients – make sure you do everything you can to ensure you aren’t at risk. We are all at risk without a cure. If you would like more information on breast cancer, contact Dr. Gordon C. Gunn MD in Fullerton, CA at 714-912-2211 to schedule an appointment today. Or visit www.gordongunnmd.com for additional information regarding women’s health. October marks Breast Cancer Awareness Month, which is an annual campaign to increase awareness of this disease. 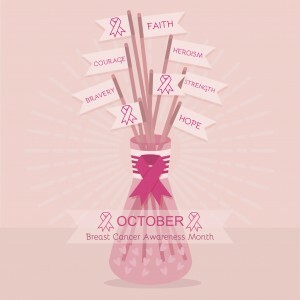 While several woman may be aware of breast cancer, very few take the steps to have a plan to detect the disease in its early stages and encourage other women to take the same steps. Taking the proper steps to detect breast cancer is vital for women’s health. Breast cancer is one of the most common type of cancers in women. In fact, about one in eight women born in the U.S. will develop breast cancer at some point in their lives. Those statistics are scary, however, as I mentioned earlier, there are steps that you can take to become aware of the symptoms that come along with this terrible disease. To help you detect the symptoms of breast cancer I have complied a list of the signs and symptoms that all of us should be aware of. Most of the time these symptoms are not due to cancer, but if you have any breast cancer symptoms you should be seen by your doctor immediately to be sure you are healthy and cancer free. 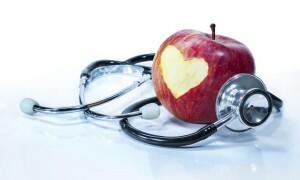 Even if you haven’t experienced any symptoms, it’s still vital to be seen for regular screenings. Your doctor is always able to screen for breast cancer before you have any noticeable symptoms. If you would like to take the first step towards good health, contact Dr. Gordon C. Gunn MD in Fullerton, CA at 714-912-2211 to schedule an appointment today .Or visit www.gordongunnmd.com for additional information regarding women’s health.